Now a year later – there’s been talk of change and more talk of change. Some in bureaucracy have swapped desks and some have been given promotions. Has anything really happened besides all those bureaucratic re-arrangements? 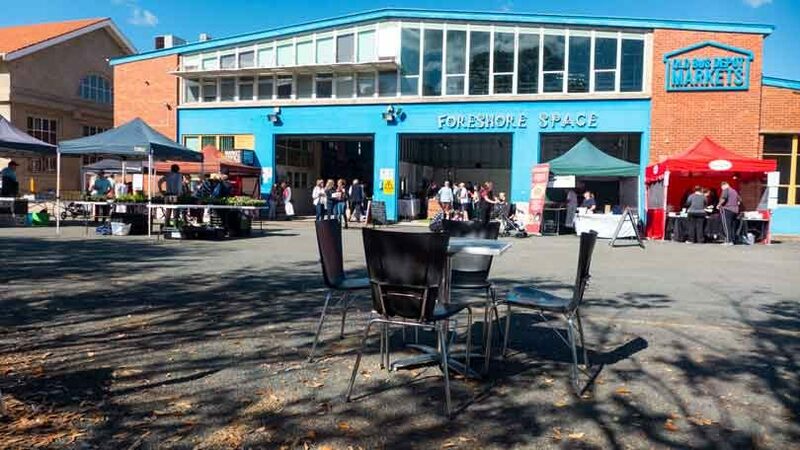 I recently talked about this and many other topics with the Chair of the very well run Inner South Canberra Community Council (ISCCC) – Marea Fatseas. Marea was the Yarralumla Residents Association President during debates in recent years over the Brickworks proposals, she stood for election as an independent, and now she is in the news as the Chair of the ISCCC. I met with Marea and we chatted about the things that concern her, the numerous activities she involves herself with and of course, her reactions to the planning and development issues that have engaged residents on the inner south of Canberra. There are many! 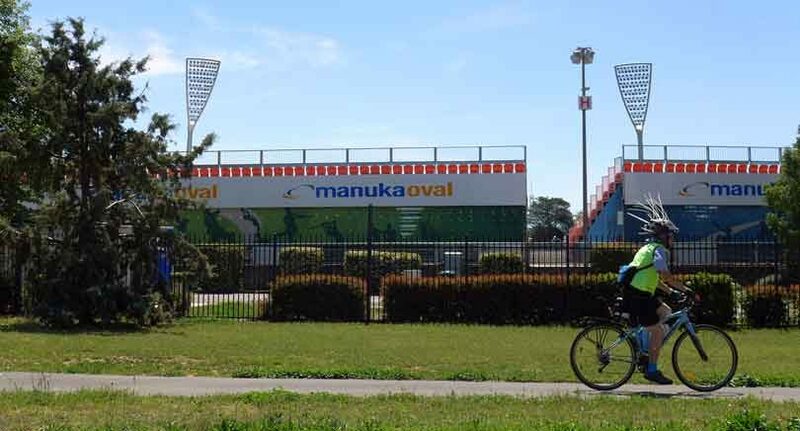 Who can forget the ‘unsolicited’ proposal to sell off the Manuka Oval as well as several land swaps; the strange goings-on around the sale of the Raiders Club; dubious ‘technical changes’ on the plans for the Kingston Foreshore; masterplans here and there; proposals for a hotel exceeding height limits on the former Italian Club site and the list goes on – with not so high profile issues popping up all the time (more on one of these later). And just in the last weeks, Marea on behalf of the ISCCC tried to uncover the evidence used for proposals to change the traffic entrances onto both Kings Ave and Commonwealth Ave Bridges. Not a lot has surfaced on that as yet. We are yet to hear what data (evidence) the NCA used for its proposed changes for the traffic flowing onto the bridges. This is one community council that is taking a lead role in the debates (I am envious!). There’s no doubt about Marea’s dedication to the built and natural environment, about her energy in managing the complex raft of issues around planning, and her ability to deal with matters intelligently. In our discussions it became obvious of her heritage interests, her commitment to sustainability, and her desire for there to be an integrated approach to planning and urban development – instead of the current practice of ad hoc decision making (why do I think about what is going on in Dickson at the moment). After talking to her I have to say that the ISCCC and the residents they represent, are indeed fortunate to have someone who thinks laterally about such matters and does not hesitate to seek whatever evidence sits behind proposals – her evidence-based approach to things is to be envied. I wish more people would adopt such an approach in their decision-making – I am looking at certain people within our present government, the NCA and the ACT bureaucracy. Oh yes – I did ask Marea about her take on the changes being talked about in planning and development following the election last year. Marea was kind her in response in that she sees lots of positives and remains optimistic that things can be different and could be better in how this government deals with residents on planning and development. 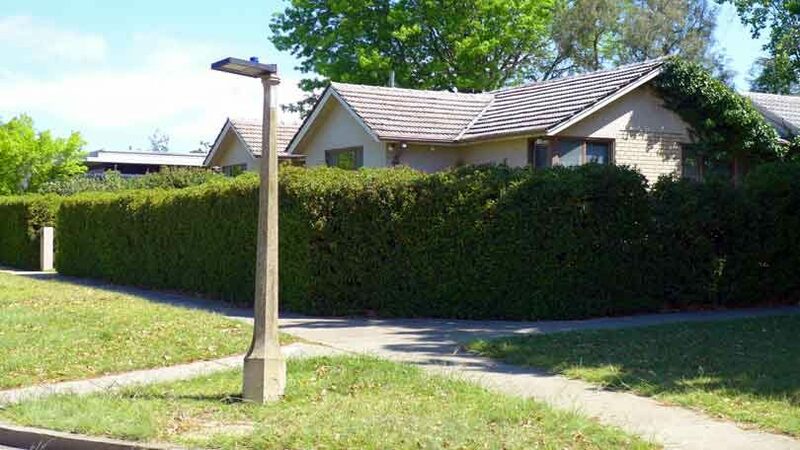 Before I finish – I mentioned that sometimes there are smaller issues that pop up on local association’s agenda – in this case Yarralumla Residents Association. 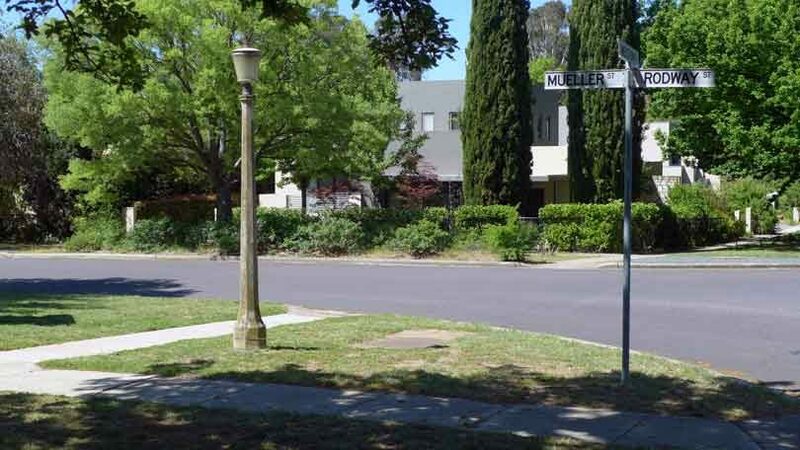 Take for instance the weird decision by someone in the choice of replacement for a lampshade on an historic lamppost in Yarralumla. Above is the normal lampshade – now look at the replacement used for one across the road from the above. Makes you wonder! Is it an example of the minor, curious municipal decisions that are made that affect residents’ local amenity? To finish: It was a good discussion. I left wondering how do we get more independents –especially ones with a community track record such as Marea’s – into the ACT Government next time. Not easy with this electoral system.